We made some discoveries here this week. The first one was found while digging in our back yard for an irrigation system. 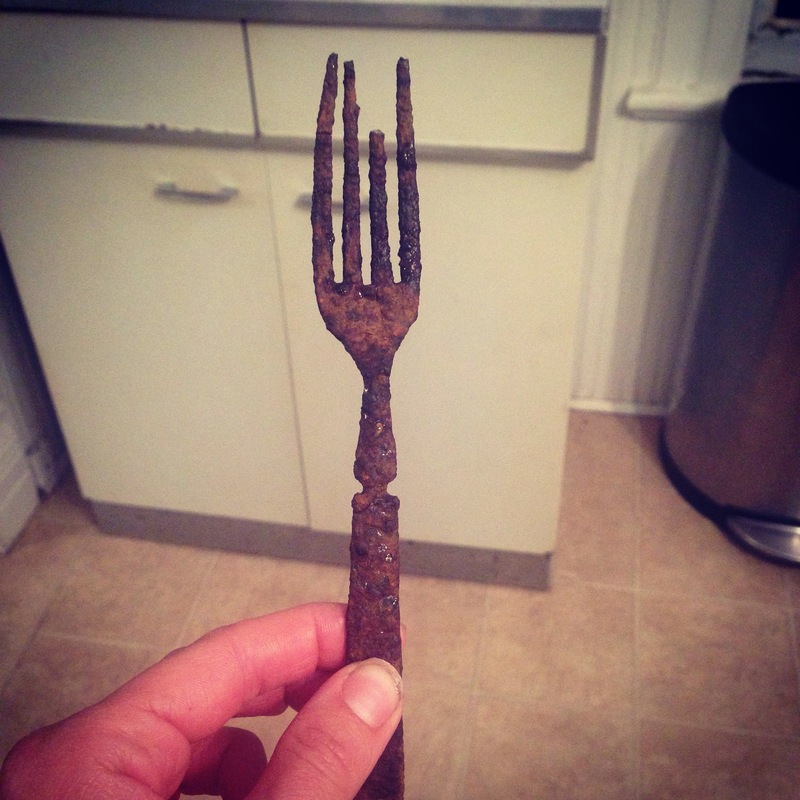 This pretty little fork… nearly rusted through to the core. I soaked it in CLR for a while, but it made no difference. It’s hard to tell what it was like originally, but I think it was fancy. I can make out just a hint of a swirly pattern under the rusty surface, and the little indentation on the handle makes it seem like it would have been part of someone’s set of silver. If anyone has any ideas about this piece, or how to get rid of the thick coating of rust, I’d love to know. The second discovery came yesterday, during some intense yard work. We found a sidewalk. 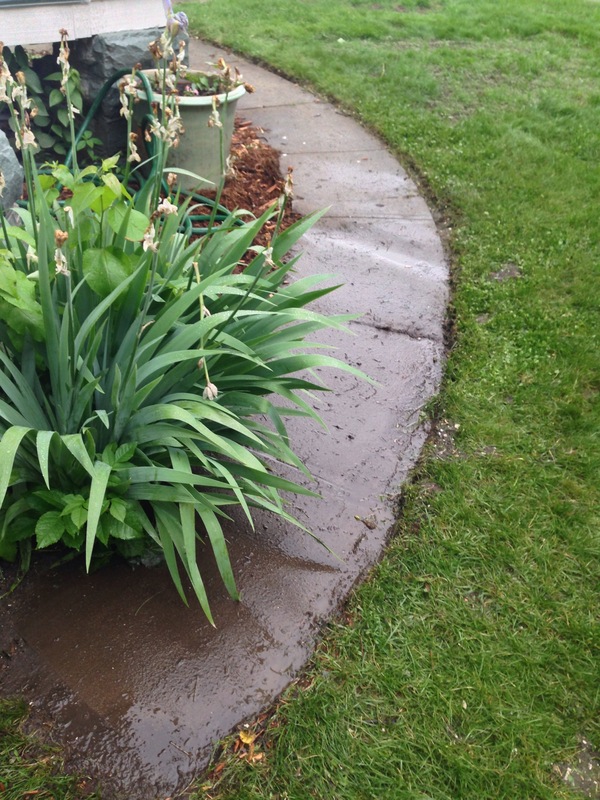 About half of this lovely, old piece of concrete was under a thick layer of dirt and sod. We had a feeling it was under there, but hadn’t gotten around to unearthing it until now. Doesn’t it look nice? A view from the other direction. A new cover of fresh mulch always brings me cheer. 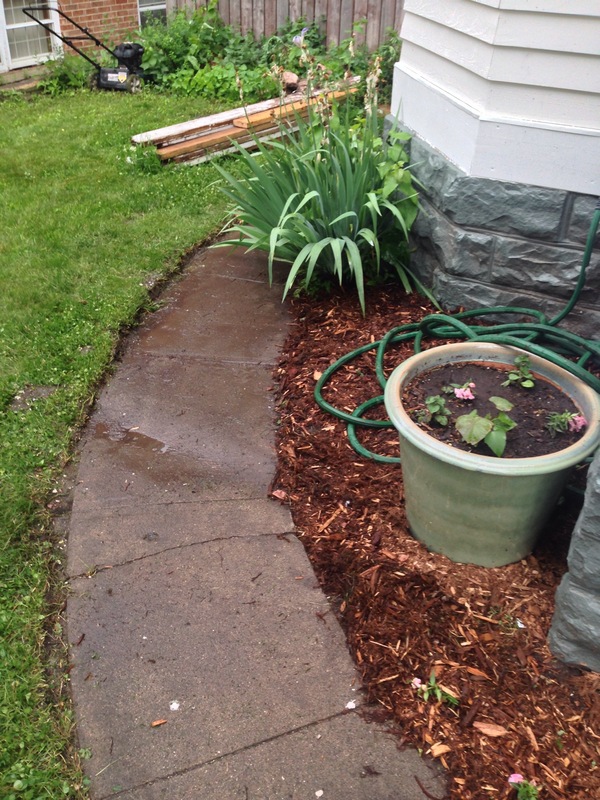 In unrelated news, we also removed a half-dead shrub and planted the area with some annuals. I very good solution for this year. 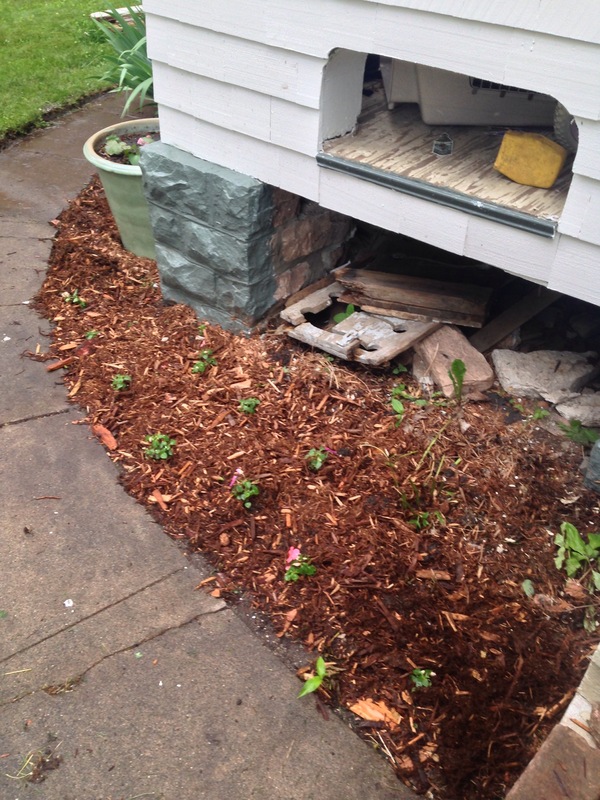 We have some work to do under the porch, so we wanted to wait to put perennials in. Build an electrolysis tank to remove the rust from the fork. For something that small, the ‘tank’ itself can be quite small. It’s a great way to restore rusty metal objects. I use one for restoring cast iron frying pans. Google and Youtube have lots of tutorials.